I listen to my local radio station PhoenixFM a fair bit, it covers local news and events, from summer projects to what is happening in the Draoicht; also local club and sports news. They have been really wonderful with supporting the community centre I am involved with, so when I heard they were running a 48hr Radioathon Fundraiser to make sure they stay on the air for the next year, I got involved. We are excited to announce details of 92.5 Phoenix FM’s second annual 48-hour Radiothon. The Station is run on a not-for-profit basis and so needs to fundraise in order to keep us on air and to continue to have the voices of Dublin 15 heard. This is one of the most exciting events in the 92.5 Phoenix FM calendar and we would love all of you to be a part of it. Last year saw the Station run our first ever Radiothon to great success, teaming up with numerous local business and Community Groups, as well as both new and familiar faces. A staggering €3,300 was raised over the 48 hours. This year we will be increasing the scope of the event and want you to get involved! I got given 2 show slots, both on Thursday 26th of March. The 4pm slot and I am delight to say that Octocon, the Irish National Scifi Convention have taken the sponsorship for that hour, so I will be taking about scifi/fantasy fandom, Dublin2019 and books, comics, films and more, with with maybe a special guest popping in. The second show is from midnight to 1am, it is called the Witching hour and I will be talking about paganism, Irish Heritage festivals and the paranormal. 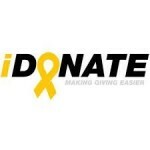 As the Radioathon is a fundraiser this is were I am looking for donations. If you’ve ever considered buying me a drink or a coffee, because you have enjoyed the articles I have written then I am asking that you donate 5€ if you can. The shows will be broadcast live on 92.5 Phoenix FM and there will podcasts which I will put up once they are available. Thank you for your support. Previous PostWriters are my rock stars (Neil Gaiman is coming to Dublin)Next PostA mile in our shoes, Canvassing for Yes Equality.